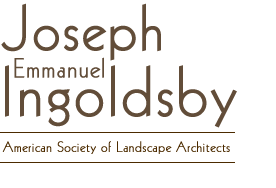 Reading the landscape of Colgate University as interpreted by architects, landscape gardeners, landscape architects and campus planners shows their masterful site work of stone buildings set within the hills of Hamilton. Changes of elevations create sweeping vistas across the valley below. Through the valley runs Payne Creek connecting to Taylor Lake. The hills are dotted with springs, which follow the groundwater toward the lowland. This is the chosen location for the Weber Arboretum. The site presents challenges for ornamental plantings not suited to the saturated soils and the seasonal creek flooding. Lawn sweeps to the creek edge. Mowing is near impossible during the rainy season and the soils remain saturated through the spring months. The creek is a migration route for trout to Taylor Pond. 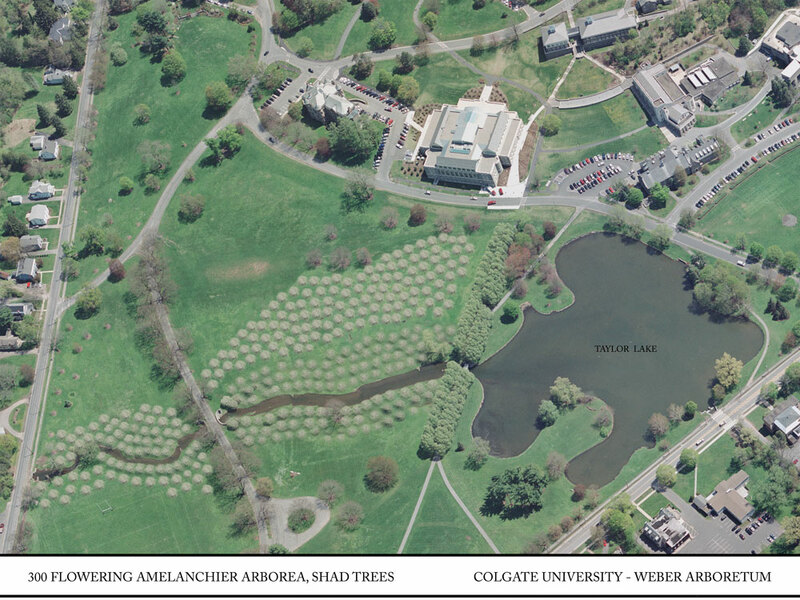 I submit two proposals for review for the Weber Arboretum at Colgate University. 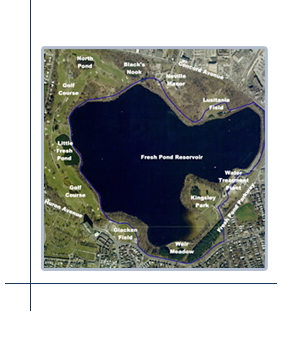 The first proposal is an ecological planting to create a forested buffer to shade and cool the trout stream and improve campus biodiversity using flowering trees and shrubs that are suited to the wet soils and flooding and that have high wildlife value. 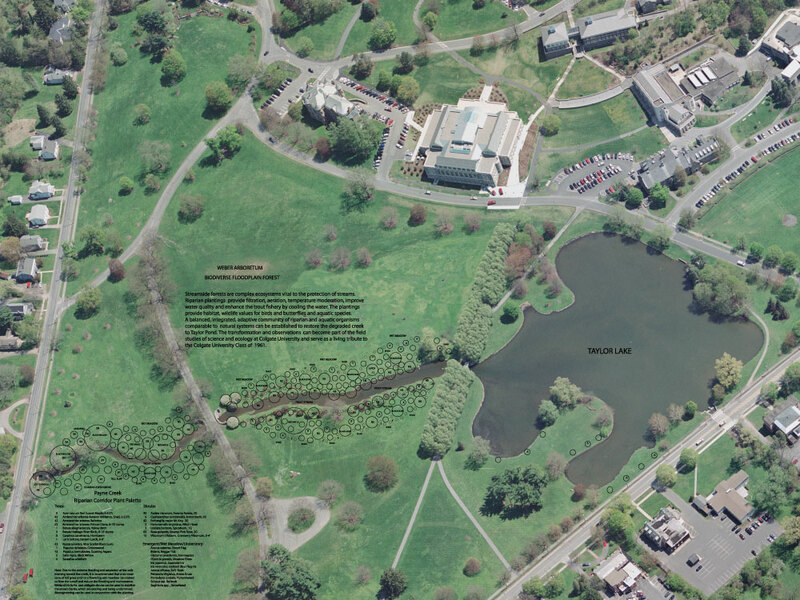 The second plan utilizes the existing crab apple trees from the stream corridor for a ceremonial planting at the Ernst W. Bowditch designated arboretum of 1893 at the crest of Colgate campus. 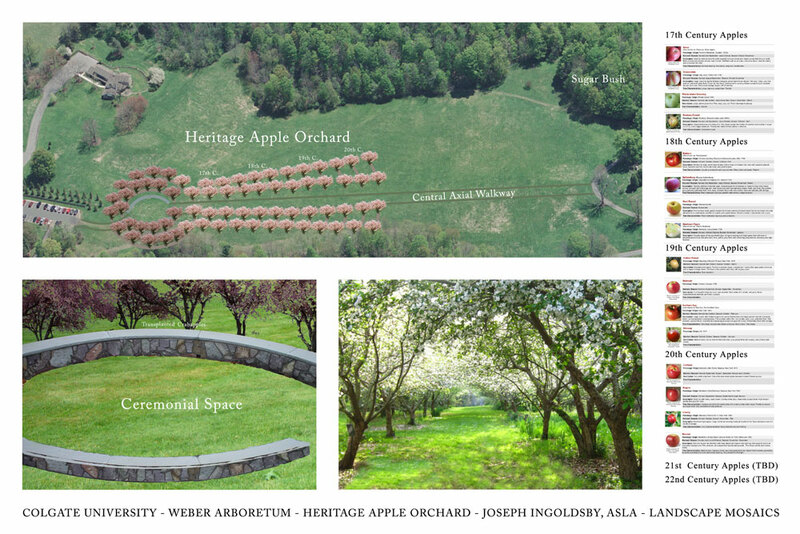 Here a heritage apple orchard is proposed to trace the development of apples in New York State through the centuries. New York has created the favored apples of presidents. Newtown Pippin was George Washington’s favorite apple. Esopus Spitzenberg was Thomas Jefferson’s favorite apple. I recommend planting a collection of apples dating from the 17th century to the 21st century and beyond. The first proposal celebrates the natural history of the site. The second proposal celebrates the cultural history of the region. Colgate University has the potential to create a living science laboratory for the recreation of a wetland ecosystem and enhanced trout fishery coursing through the heart of the campus. 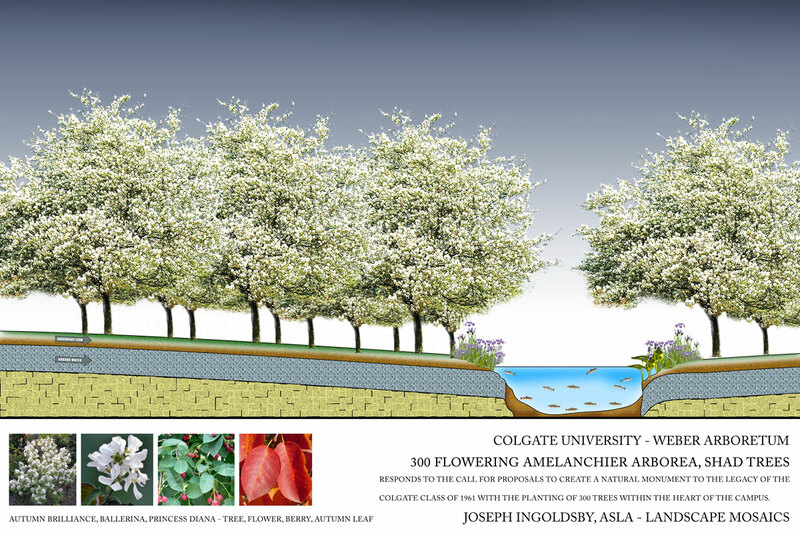 Colgate has the opportunity to explore American history and sustainability on campus with the creation of a heritage orchard. 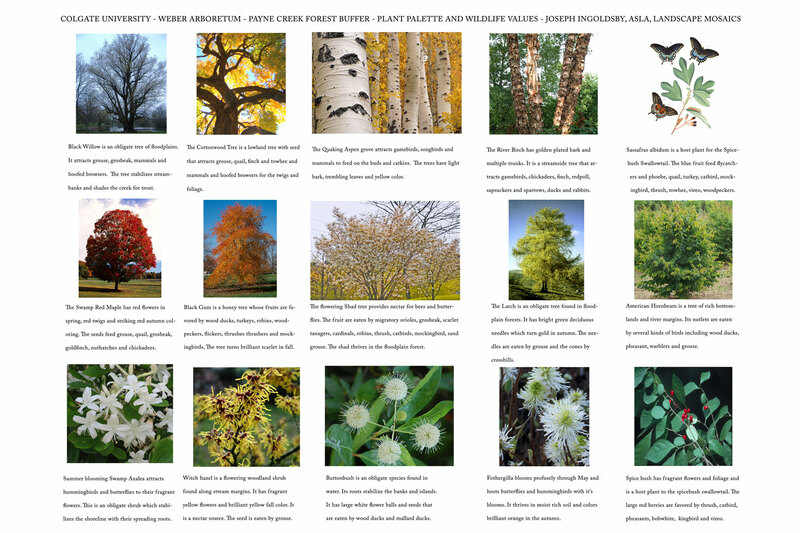 Further, I recommend that Colgate explore the tapping of the extensive plantings of mature sugar maple trees on site for a sugar bush. Maple syrup could be tapped and refined on campus and with sales the operation would be self-sustaining. 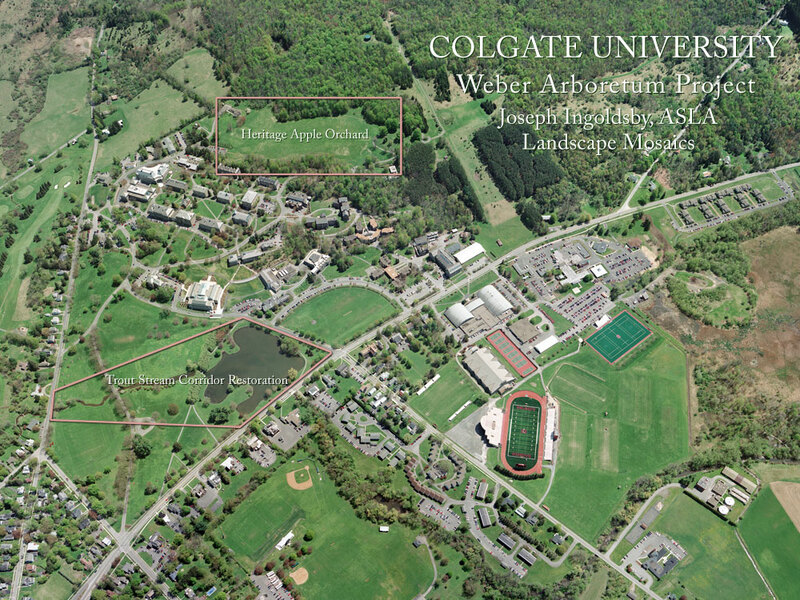 Colgate University has farm holdings off of campus. New York State was once the premier grower of hops. Could Colgate investigate the reintroduction of hops at the farm holdings and the use of the farmland to reconnect students to the growing of food, permaculture and their own personal history? Today with local farms being revitalized and with Community Supported Agriculture, farming has come full circle.